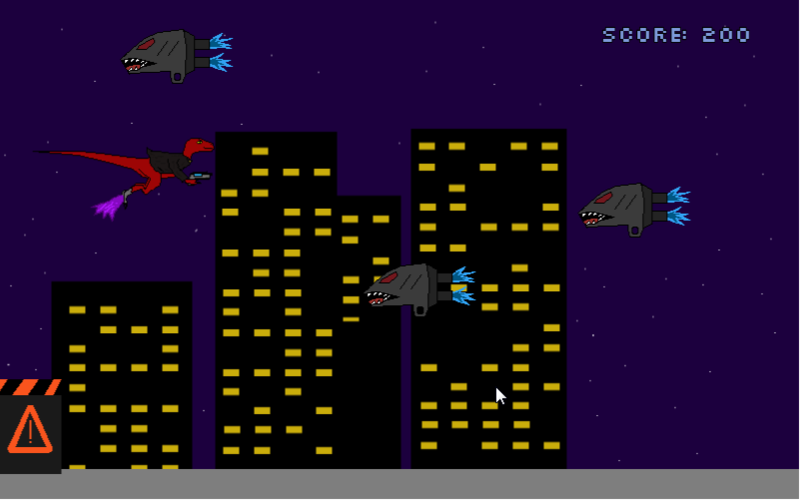 Raptor Runner is an endless runner game featuring a raptor with hoverboots and laserpistol. You have to jump over obstacles and shoot down drones that try to take you down. The game gets gradually faster after every obstacle avoided. There's couple of bugs: The music doesn't loop (which isn't probably a bad thing because I can't make music) and on Firefox, you have to refresh the page after loading the game for the first time: This fixes an issue with fonts not loading properly. This is my first proper game I've ever published and I hope you guys like it! 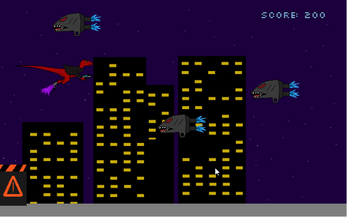 Everything was made by me in this game, from sprites to sound effects. Feel free to comment all the bugs and high scores! Download size is 50mb, but after unzipping it's around 120mb.